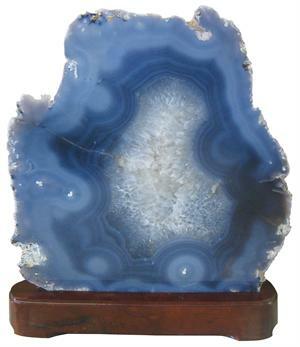 Item #MS-845: Approximately 16"x18.5" tall Agate Slice of 36.60 lbs. on wooden base. 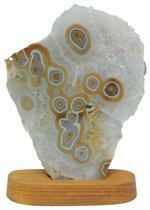 Item #MS-840: Approximately 10.5"x8.5" tall Agate Slice (Brazil). 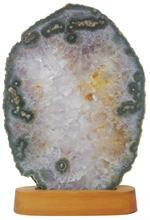 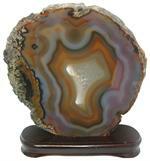 Item #MS-839: Approximately 10.5"x11" tall Agate Slice (Brazil) on wooden stand. 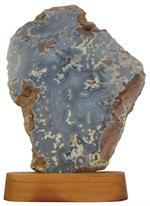 Item #AM-AG-225-A: Approximately 10.25"x8.25" tall Agate Slice (Brazil) of 12.32 lbs. 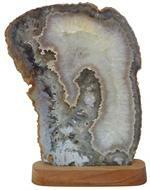 on wooden stand. 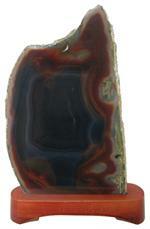 Item #AM-AG-SL-250: Approx. 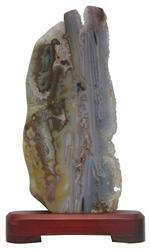 15"x7.5" tall Agate slice with Quartz center of 7.95 lbs.